Events for the upcoming season are subject to change. The park grows as the month progresses due to the nature of the competition. It is not complete at the opening of the event. Watch for an updated information here and on Facebook. Prepare for outdoor winter fun with snow boots, snow pants, gloves, and the rest! This is an ICE park and we think you'll enjoy it more if you wear appropriate cold-weather clothing. Our New Year's Eve Spectacular begins at 10 pm Dec 31st with free admission to the park, countdown to '2019' with Santa, and a spectacular fireworks show on park grounds. Join us for this family-friendly, alcohol-free, community event. The park doors will close at 11:45 pm so the volunteers can go outside to enjoy the fireworks and countdown at Midnight. 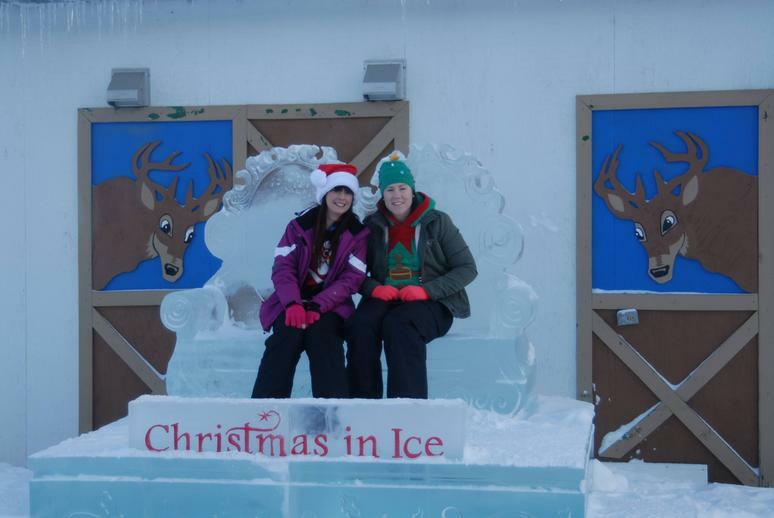 We accept VISA, MasterCard and Discover at the ice park. Sleds are available for park guests to use on the ice slides on a first-come basis. They have to checked out in the office by an adult leaving their driver's license. Feel free to bring your own sleds. Interior Alaska winter. The kid's parks is AWESOME.